Are you preparing to buy your first ever Xbox 360, and are looking for the best value for your money? Alternatively, did your Xbox 360 just commit ritual seppuku, and now you're looking for a SKU that comes bundled with some good games? 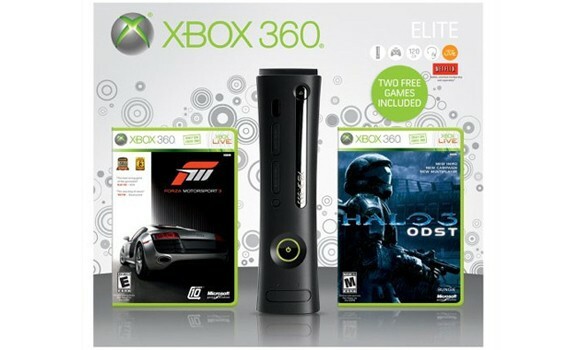 Both parties are in luck -- Amazon recently added a listing for an Xbox 360 Elite Spring 2010 bundle, which includes Halo 3: ODST, Forza Motorsport 3 and a 120GB hard drive for just $299.99. According to the listing, this bundle will go on sale next Tuesday, March 9 -- the same day the $399 Final Fantasy XIII bundle hits Amazon's virtual store shelves. We're extremely excited about this news -- not because it's a great deal (though it really, really is), but because it's allowed us to break the world record for "Most Times Using The Number '3' In A Single Headline." Thanks for making this dream possible, Microsoft.